Here at The MALESTROM, we love our sport, be it football, boxing, golf, tennis you name it, and as the summer sun announces itself, nothing appeals more than an afternoon watching some cricket and the meditative hum of willow on leather. As quintessentially English as strawberries and cream or, well, talking about the weather. 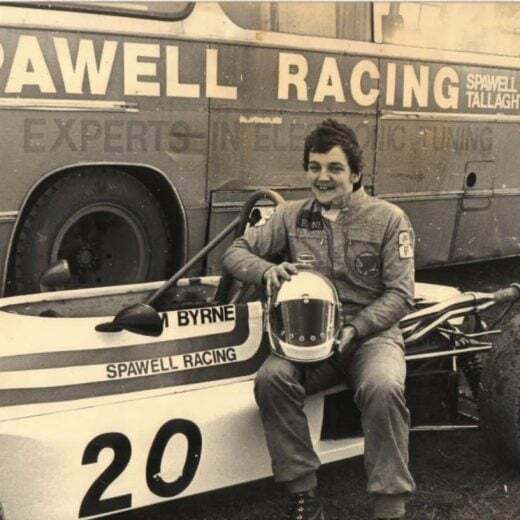 We’re also equally engaged by stories of great sporting achievements, trailblazers who changed the nature of their particular sport, all the more intriguing when the sportsman in question is largely unknown to the wider public consciousness. Think footballer Robin Friday or boxer Sam Langford, which is why there was a collective pricking of ears at The MALESTROM HQ when the name Bart King landed on our desk. 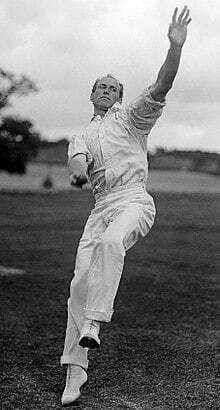 A truly great cricketer we’ve never heard of, a man considered by some of the games more illustrious students to be one of the greatest bowlers of all time, but what makes this story all the more beguiling is that Bart King was American. America the land of baseball, football played with helmets and hands, of stats and more stats. This is notable as Byrd from the age of seven was educated in London and became ingratiated into societal life during his many years there, so unsurprising he was so familiar with the game. Numerous accounts reference a game of ‘wickets’ as it was known and was a popular recreation with troops during the American Revolution. By the time of Independence in 1783, even George Washington himself was said to have played the game. By the mid-nineteenth century cricket was reportedly played in around 20 different states and in 1844 the very first international match took place between the USA and Canada in Manhattan. During that period the New York Press had regular reports on the game. Indeed around this time cricket was considered to be the most popular sport in the US, however, when the Civil War broke out in 1861 it pretty much spelt the end of the game. From 1865 onwards it became an amateur endeavour, however, it’s fascinating to imagine if cricket had continued to grow and become their national sport, what the game would be like today? Of the many amateur clubs dotted around, it was Philadelphia where the heart of American cricket could now be found, in fact so much so it pretty much became isolated to the boroughs of Philadelphia alone. Support was also a factor, many thousands would turn out to watch the games and coverage was still reported in the press. And this is where a certain John Barton King, or Bart as he was known, first came to the attention of the greater cricketing world. Born in Philadelphia in October 1873, Bart King’s early life was spent quite typically playing baseball. It was only as a fifteen-year-old that after being introduced to the game at one of the smaller Philadelphian clubs, Tioga CC, where he started life as a batsman, that King’s love affair with the game began to blossom. Due to his impressive physique, it was suggested that he should try his hand at the art of bowling, standing over six feet tall with an imposing presence that would lend itself to pace bowling and as the first detailed account of Bart King suggests it proved a wise decision. In the season of 1889, King took 37 wickets at a cost of 99 runs. King would continue to play at Tioga until 1896 at which point he joined Belmont Cricket Club. During his time at Belmont, King would also represent the ‘Gentlemen of Philadelphia’ a team comprised of the four chief clubs in the area, Germantown, Merion, Belmont, and Philadelphia. They were for want of a better word – given the relatively modest interest in cricket in the US – America’s national team, and were incredibly well supported by local fans and dignitary’s, and once again the local press ran reports on their games. It was in 1893 when cricket in the area became more than a side note however when an Australian team fresh from a tour of England and en route home stopped off in Philadelphia challenging the Gentlemen to a game. Tired from their long journey, Australia still fielded a strong outfit and probably thought defeating such a team would be a relatively straightforward task. Philadelphia put on a huge total of 525, King himself contributing 36 batting at number 11 before Australia were skittled out for 199 with King taking 5 wickets for 78 runs. The cricketing world was stunned, Australia restored pride a week later with a comfortable victory, but the ramifications of that initial defeat would be huge. 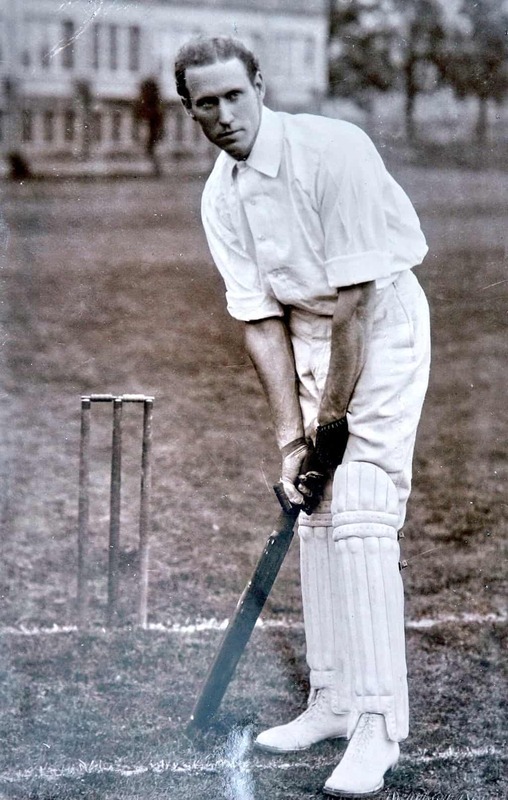 Australian captain Jack Blackham was shocked at the standard, comparing the team on a par with ‘England’s best’. And one man who had made a considerable impression was the 19-year-old Bart King. 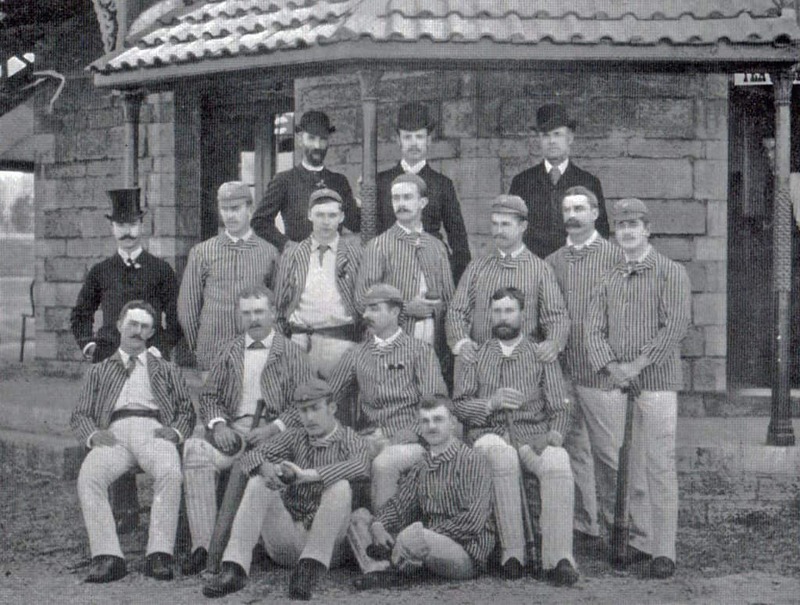 Four years later in 1897, the Philadelphian Gentlemen had managed to organise a tour of England which would be made up of fifteen first-class games against the top county opposition. Little was anticipated and it was seen more as an opportunity to improve and learn from their more accomplished cousins across the pond. 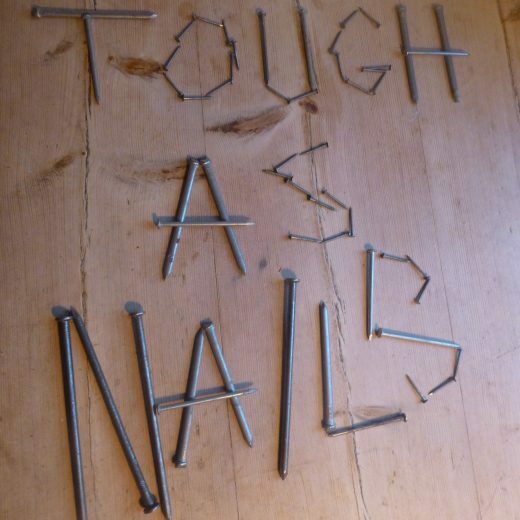 On the whole, Philadelphia struggled, losing 9 and drawing 4 of their 15 matches. However, the 2 victories were incredibly significant. Playing a full strength Sussex team in Brighton, King took 7 wickets for 13 runs as Sussex were bowled out for 46 in under an hour. In the second innings, King took 6 for 102, as the Philadelphians recorded an 8 wicket victory. Against Warwickshire, across two innings King took 12 wickets for 167 runs. Bart King had made quite a considerable impression, all in all, on that tour his figures of 72 wickets at an average of 24.20 were very impressive and a number of the counties eagerly tried to persuade King to stay and further his career in the county ranks. The enormous distances between nations meant international cricket was rare at the turn of the twentieth century and less so for a group of unknowns from Philadelphia, however in 1903 the Gentlemen of Philadelphia would once again tour England and King promptly made up for lost time. During the 16 first class games on offer, Bart took 93 wickets at an average of 14.91 that helped Philadelphia beat both Lancashire at Old Trafford and Surrey at The Oval. To underline his cricketing prowess King also made notable contributions with the bat. He scored 98 and 113 in the two innings against Surrey establishing himself as a genuine talent. Once again there would be another long break before King returned to the UK in 1908. During the intervening years, Bart King would continue to dominate with both bat and ball in club matches back in his homeland. 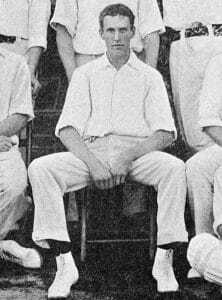 In 1905 he established a North American batting record by scoring 315 at Germantown CC, before breaking it the following year against Merion CC a record that stands to this day of 344. He also represented the USA on numerous occasions against neighbours Canada, his talent ensuring they were dominant, although these particular games are not acknowledged as being first class standard. 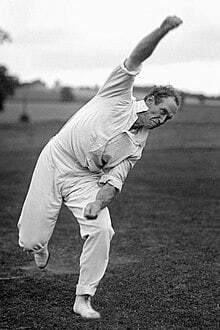 His third and final tour of England came as mentioned in 1908 when King now well into his thirties proved once and for all what an outstanding bowler he was. In ten first-class games, King racked up figures of 87 wickets at an average 11.01, leaving top of the bowling averages for the whole season in England. More remarkable was the fact that it was not until 1958 that it was improved upon when Les Jackson finished the season with an average of 10.99. In fact, such was the impression King made on his first-class tours of English cricket that in 1962 he was made an honorary member of the famed Marylebone Cricket Club. Of course, history and nostalgia can often blur and tales of derring-do, become somewhat embellished, however, one such story of King has been widely recounted. In a game between Belmont and Trenton when an under-strength Trenton side was ripped apart losing nine quick wickets all at the hands of King, the final batsmen and opposition captain entered the fray. Dismayed he commented to King that his success was down to the fact his team were under strength and wouldn’t have happened otherwise. King promptly summoned all of his fielders and sent them to the clubhouse, leaving himself, two batsmen and the umpires, before removing his leg stump the next ball. It’s a story one can only hope is based on fact. Bart King played 65 first-class matches during his well-travelled career, taking 415 wickets and scoring 2134 runs. He took ten wickets in a match 11 times, and 38 five-wicket hauls.